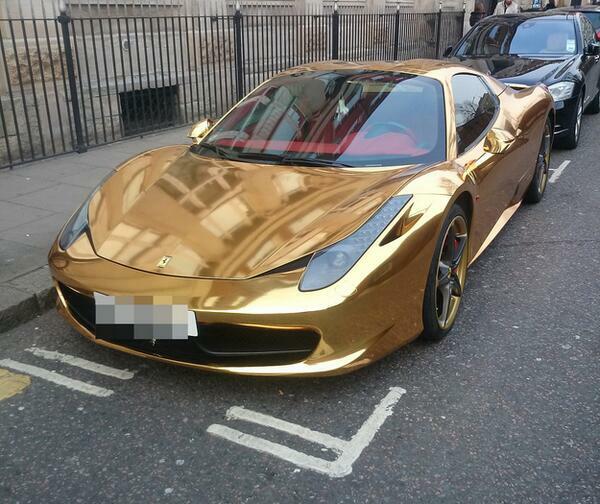 It’s a car that you might expect to find proudly displayed outside Dubai Mall or the Burj Al Arab, Dubai.However, this $330,000 Ferrari 458 Spyder wrapped in a $7,000 layer of gold vinyl was spotted parked outside a gym in the Kensington area of London. 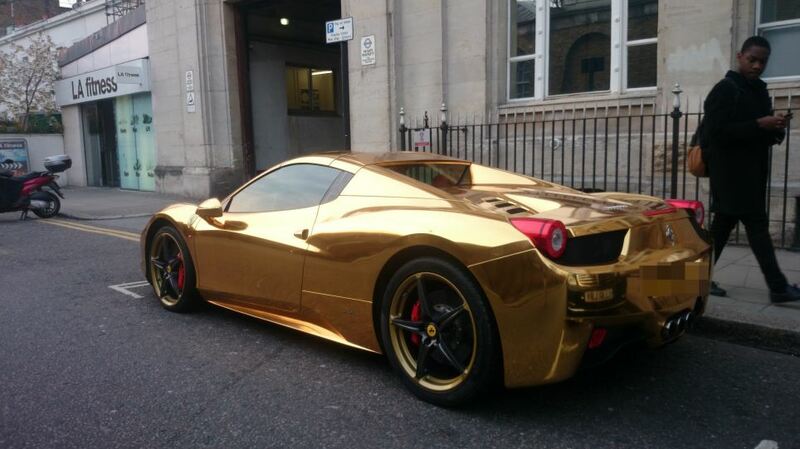 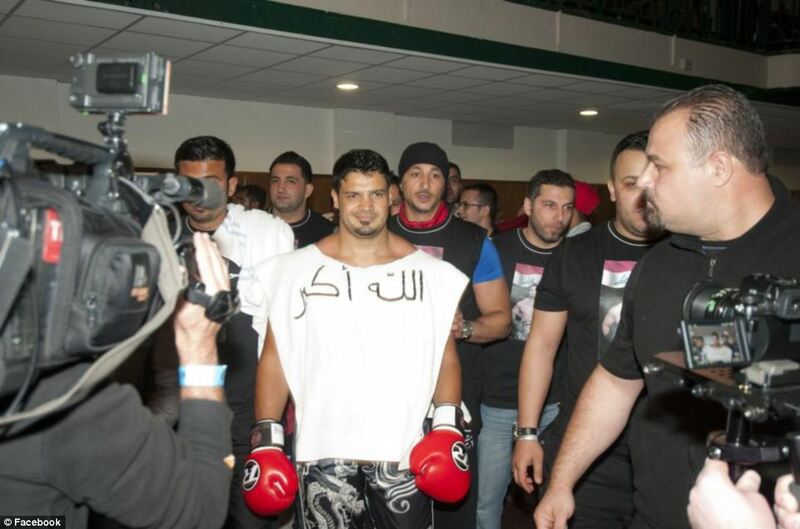 The Ferrari 458 Spider is the convertible version of Ferrari’s most popular supercar.The car, which has got considerable attention on social media, belongs to undefeated world kickboxing champion Riyadh Al Azzawi from Iraq – who has held his crown since 2008 with 47 wins from 47 bouts.Al Azzawi, who was training at the nearby LA Fitness gym, has been Arab champion twice, UK champion twice and European champion on his way to becoming the reigning world champion. 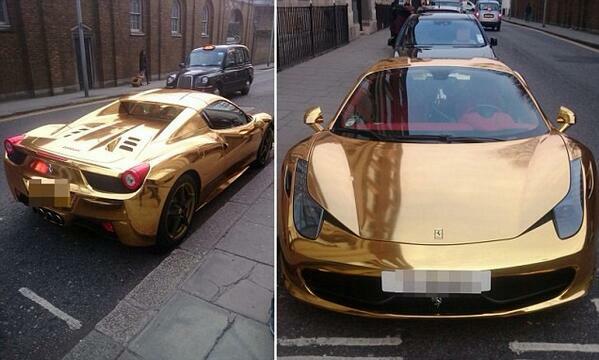 See the dude walking & admiring the spyder on the road!